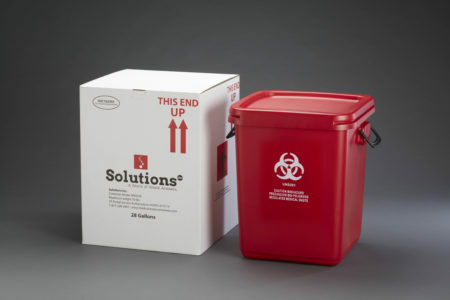 Dispose of sharps containers and other infectious waste with this handy 28 Gallon Biohazard Disposal Mailback Container. No Contract. Buy as needed. Includes Postage to You and Back to the Treatment Facility. 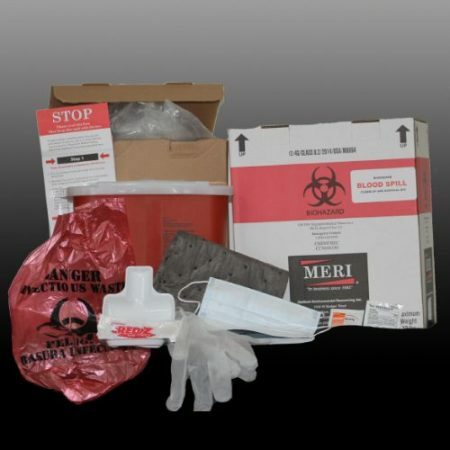 DOT and USPS certified, this medical waste mailback kit has everything needed. It even includes the return shipping box with prepaid postage label. Most importantly, it documents the cradle-to-grave destruction of your biohazard materials. Please allow one to two business days for delivery when ordering. 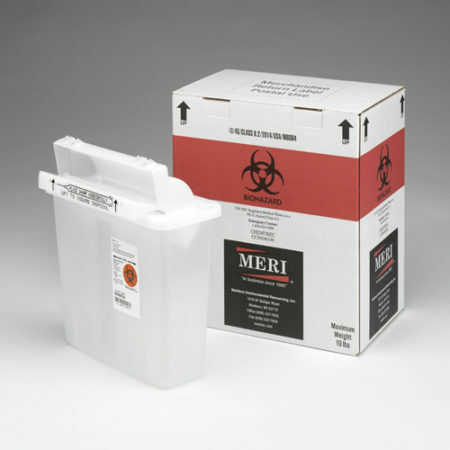 Click Here to See how easy MERI’s Medical Waste Recovery System works to remove needles, sharps and infectious waste. Or watch these medical waste kit shipping instructions. Dispose of sharps containers with this handy 28 Gallon Biohazard Disposal Mailback Container. No Contract. Buy as needed. Includes a manifest documenting proper destruction. And, it features postage both to you and back to the infectious waste treatment facility. 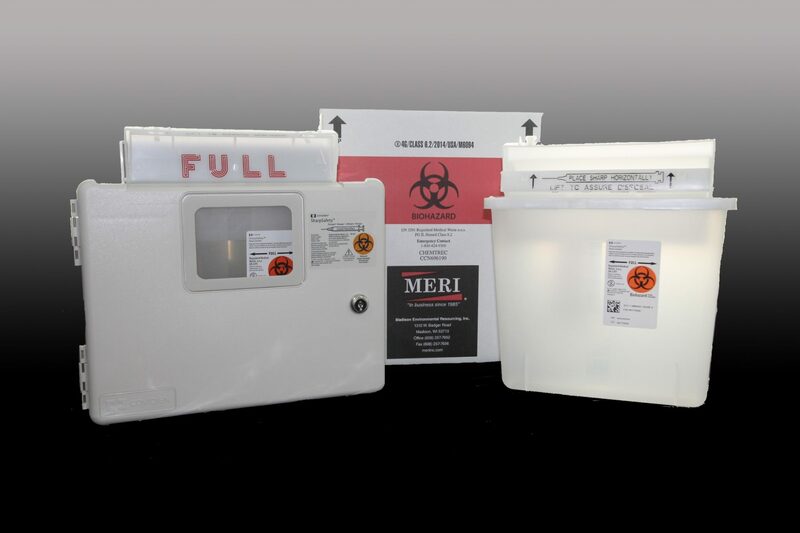 Typically, it can store four or five smaller sharps biohazard containers that are 5 quart or 2 gallon in size. All together, it holds up to 50 pounds of infectious waste. 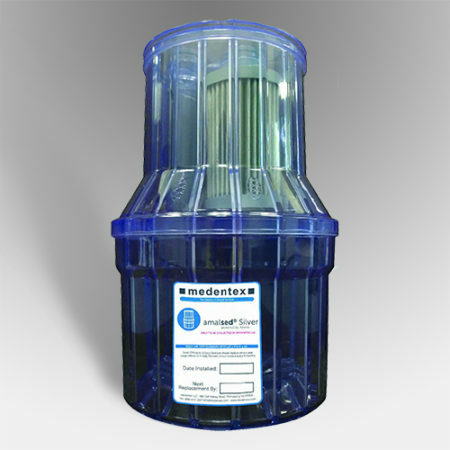 Only trace amounts of liquid (less than 50 ml or 1.66 ounces) can be sent in this bin. In addition, note that this container SHOULD NOT contain mercury, lead, drugs or trace chemo. Allow one to two business days for delivery when ordering. Before sending your full biohazard container back to the treatment facility, be sure to do the following: First, sign the manifest located on the side of the shipping box. Second, ship through the United States Postal Service using the prepaid return shipping box. Finally, order another mailback kit before returning yours so that you can always have a safe place to store your biohazard materials.